If you’re considering achieving the MCSA Windows Server 2012 certification, you’ll need to pass 3 exams 70-410, 70-411 and 70-412. 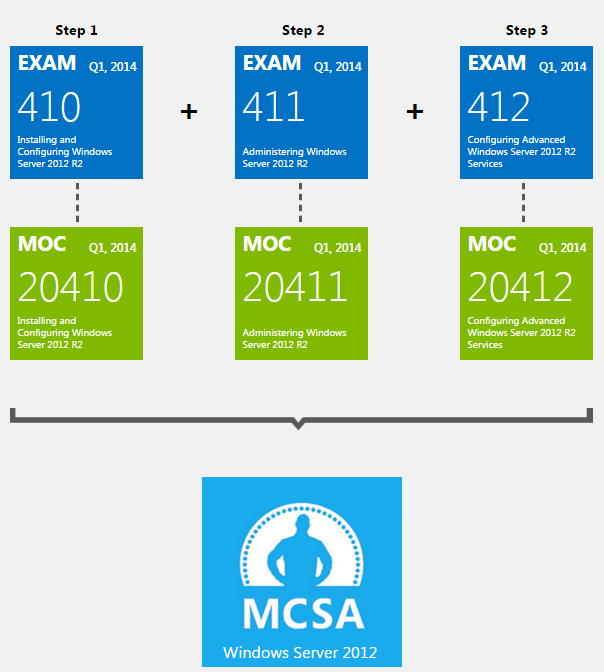 Having launched our “10 tips to pass Microsoft’s MCSA 70-411 exam” we now focus on the final exam 70-412: Configuring Advanced Windows 2012 Services. This exam measures your skills in configuring network services, configuring file and storage solutions, implementing business continuity and disaster recovery, and managing high availability. The 70-412 exam builds upon the fundamental skills demonstrated in the 70-410 and 70-411 exams and confirms that you can configure and manage the Windows Server 2012’s functions. Remember, you are required to pass all three exams before you are MCSA: Windows Server 2012 certified. We’ve researched and gathered 10 top tips that will help you obtain the skills and knowledge to pass the third and final Microsoft MCSA: Windows Server 2012 certification exam, 70-412. You can watch the video for the MCSA: 70-412 exam here. This takes you through a review of the topics covered in this exam in a fast-paced format, as well as receiving some valuable test taking techniques. The session is led by a Microsoft Certified Trainer (MCT), experienced in delivering sessions on the exam's aims and contents. I’d highly recommend using the Microsoft Virtual Academy to prepare you for your studies. Once you fully understand what you’ll be facing, you’ll be in a better position to begin your exam preparation and studying. A revision guide is a must-have essential for any exam. It’ll guide you through your studies, highlighting which topics require more focus than others. Study guides often define terms you may not understand and explain theory with a high level of detail. Don’t waste your study time searching for guides, here’s our top recommendations. Like the 70-411 exam and 70-410 exam before it, Microsoft have a really useful official 70-412 exam revision guide called, “Exam Ref 70-412 Configuring Advanced Windows Server 2012 R2 Services”. If you used Microsoft’s guide for the 70-411, this will continue nicely where you last left off, using a similar style and layout. It is well structured to help you focus on each exam objective and also presents real-world scenarios to put your knowledge into context. Furthermore, published from Microsoft itself, you can trust that it contains all the information you need for the exam. You can find it on Amazon here. The ISBN is 978-0735673618. 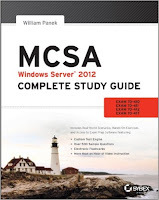 Another great book to use for revision is William Panek’s MCSA Windows Server 2012 R2 Complete Study Guide: Exams 70-410, 70-411, 70-412. It comes with weight as it’s written by one of Microsoft’s MVPs and covers all the topics in all three of the MCSA: Windows Server 2012 certification exams. This goes into extensive detail to improve your knowledge and prepare you for the 70-412 exam. Other features include hands-on exercises, practice exam questions, electronic flashcards and over two hours of video content. All of this creates a revision guide package that is perfect at improving your Windows Server 2012 knowledge in all the areas in the three exams. Joining a community and sharing your Microsoft 70-412 exam queries and experiences can help you gain and share knowledge. It allows you to bounce ideas off others in the same position as yourself or with those who've already passed the exam. Doing this in an online forum can be a well-earned break from revision and may surprise you in the amount of questions it answers. Take each answer with a pinch of salt – not everyone is an expert. One of the best for Microsoft exams is TechNet’s forums. You can search for specific exam related questions, or look up general technology related queries. You could pose a direct question yourself, or use an existing thread with many responses and answers already available. There are many ways in which an online forum could be helpful to your 70-412 exam studies. Practice tests are the closest you can get to a real exam. They’re designed to replicate the same question style and cover the same topics as the actual exam, therefore augmenting your chances of passing. Practice tests allow you to identify areas that may need a tighter focus or more revision. 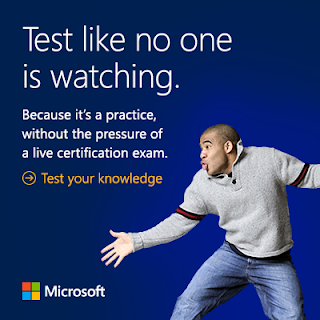 The best place to go for Microsoft practice exams is MeasureUp. They’re Microsoft official and have copious resources for all Microsoft exams. You can find the 70-412 practice exam package here, which contains 156 questions in total. Its features include a timed certification mode that mimics an exam scenario, a study mode that walks you through all topics and an instant score and break-down of how you’ve done to see where you need to improve. There is no substitute to immersing yourself with like-minded students - who are in fact a resource themselves as they are focused on passing the same exam. You will learn from experts in the field, dedicated to building your Windows Server 2012 skills and knowledge putting you in the best position to pass your 70-412 exam. They get you hands-on with Windows Server 2012, whilst taking you step by step through the courseware. Firebrand offer a 9 day accelerated Microsoft MCSA: Windows Server 2012 R2 course which covers all three exams, of course including the 70-412. You should avoid brain dumps at all cost! It is important to remember that these are illegal and you will be immediately disqualified from exams. They are a false economy, teaching you to cheat in order to pass, rather than focusing on building the necessary skills and knowledge required to pass. Make sure you steer clear of 70-412 brain dumps. Even if you pass, you’ll not have learned the skills the certification aims to teach you, meaning you won’t be able to put these into practice in real-world situations and your job. You can get hands-on with a trial version of Windows Server 2012. Put your knowledge into practice, reinforcing your learning of configuring advanced services in Windows Server 2012. Using all the Windows Server 2012 features, you’ll discover things you didn’t in your studies, that’ll be handy in your exam. To make it more relevant, I’d recommend combining your exploration of the trial version with a study guide and the exam objectives. This’ll on critical knowledge areas aligned to the exam including the configuration of Network Services and the implementation of Disaster Recovery features. Study groups are useful for connecting with other students who are focusing on the same goal as you, sitting the 70-412 exam. Sharing study tips and experiences could be useful to your study method. Collaboration is always helpful when it comes to studying, joining a study group is also a great way to stay motivated. One of the biggest study groups for Microsoft certifications can be found on the Born to Learn blog. Here is the link to the MCSA: 70-412 exam study group. This is where you can find forums and discussions in which you can interact with others. If you’re looking to try out Windows Server 2012, but don’t yet feel confident enough to attempt the practices in the 70-412 exam, a practice lab is for you. 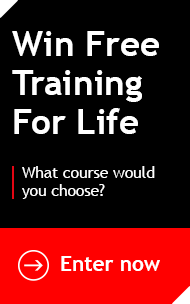 It is based around guided learning so you can tackle the challenges in a safe environment, removing the danger of anything going badly wrong. You may already be aware of TechNet’s 31 Windows Server 2012 R2 virtual labs. Although there isn’t one specifically for the 70-412 exam, they are all free and many of these cover topics that overlap with 70-412 exam content – such as an introduction to failover clustering or identity services with Active Directory. Includes one of the most extensive libraries of practice questions plus a well-structured study guide to assist you through your exam practice.